NEW DELHI (AP) — Environmental pollution — from filthy air to contaminated water — is killing more people every year than all war and violence in the world. More than smoking, hunger or natural disasters. More than AIDS, tuberculosis and malaria combined. “In the West, we got the lead out of the gasoline, so we thought lead was handled. We got rid of the burning rivers, cleaned up the worst of the toxic sites. And then all of those discussions went into the background” just as industry began booming in developing nations, said Richard Fuller, head of the global toxic watchdog Pure Earth and one of the 47 scientists, policy makers and public health experts who contributed to the 51-page report. A court ban on firework sales before the Diwali festival didn’t stop New Delhi residents from firing rockets and lighting crackers throughout Thursday night. They awoke Friday morning to acrid, smoke-filled skies and levels of dangerous, lung-clogging particulate matter known as PM2.5 that went beyond 900 parts per million — 90 times the recommended limit by the World Health Organization, and 22 times higher than India’s own limits. 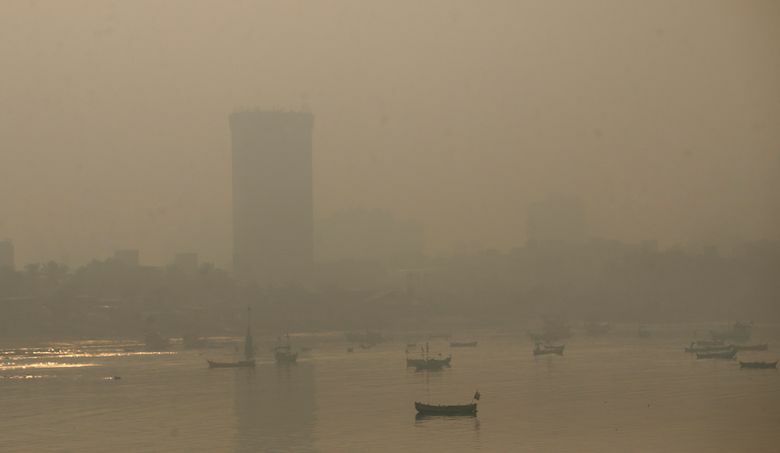 “Even though better pollution norms are coming in, still the pollution levels are continuously increasing,” said Shambhavi Shukla, a research associate with the Delhi-based Center for Science and Environment, which was not involved in the Lancet study. To reach its figures on the overall global pollution burden, the study’s authors used methods outlined by the U.S. Environmental Protection Agency for assessing field data from soil tests, as well as with air and water pollution data from the Global Burden of Disease, an ongoing study run by institutions including the World Health Organization and the Institute for Health Metrics and Evaluation at the University of Washington. It is most often the world’s poorest who suffer, the study found. The vast majority of pollution-related deaths — 92 percent — occur in low- or middle-income countries, where policy makers are chiefly concerned with developing their economies, lifting people out of poverty and building basic infrastructure. Environmental regulations in those countries tend to be weaker, and industries lean on outdated technologies and dirtier fuels. “What people don’t realize is that pollution does damage to economies. People who are sick or dead cannot contribute to the economy. They need to be looked after” — which is also costly, Fuller said. The report cites EPA research showing that the U.S. has gained some $30 in benefits for every dollar spent on controlling air pollution since 1970, when Congress enacted the Clean Air Act, one of the world’s most ambitious environmental laws. Removing lead from gasoline has earned the U.S. economy another $6 trillion cumulatively since 1980, according to studies by the U.S. Centers for Disease Control and Prevention. Without more concrete evidence for how specific policies might lead to economic gains, “policy makers will often find it difficult to take action, and this report thus only goes part way in making the case for action,” he said. “People should be careful not to extrapolate from the U.S. numbers on net (economic) benefits, because the net effects of pollution control will not be equivalent across locations,” he said. Follow Katy Daigle at www.twitter.com/katydaigle .